Book 4 Quests, Gripes and Gratitude Journal. All Sara Fay and the Elementals Books and Journals 20% OFF Through July with Special Code at Checkout! In Sara Fay and the Elementals Book 4: Teelo and The Plant Kingdom, Sara Fay finds a new friend named Teelo. She learns about caring for The Plant Kingdom and how plants keep us alive by giving us air, scent, color, and food. For this, Sara Fay experiences gratitude which inspired quests at the end of book 4 and this corresponding quest journal. Inspired by perpetual teacher, and contributor to and implementer of Character Strengths, Jay Sharp, I added gripes because to fully experience gratitude we must process our gripes. This journal provides a safe space for children to express themselves and offers a constructive way to work through emotions. The book is divided into three sections: Quests, Get a Grip of Your Gripe and Attitude of Gratitude. To honor teachers and show appreciation for your patience as I launched my own publishing company I am offering all of the Sara Fay and the Elementals Books and Quest Journals for 20% OFF on Amazon through the month of July. Use the code 3FSR9TWK at checkout. Remember to use Amazon Smile to support great charities like Pax Natura (Peace With Nature). Your book reviews are greatly appreciated! If you are looking to order 10 books or more, please contact me directly for volume pricing. Look for Books 1,2 & 3 on Amazon. Anywhere in the world you can have your favorite bookstore order my books through Ingram. Enjoy! Kids and kids at heart, you are invited to come along and brighten the day with the Elementals and Sara Fay! 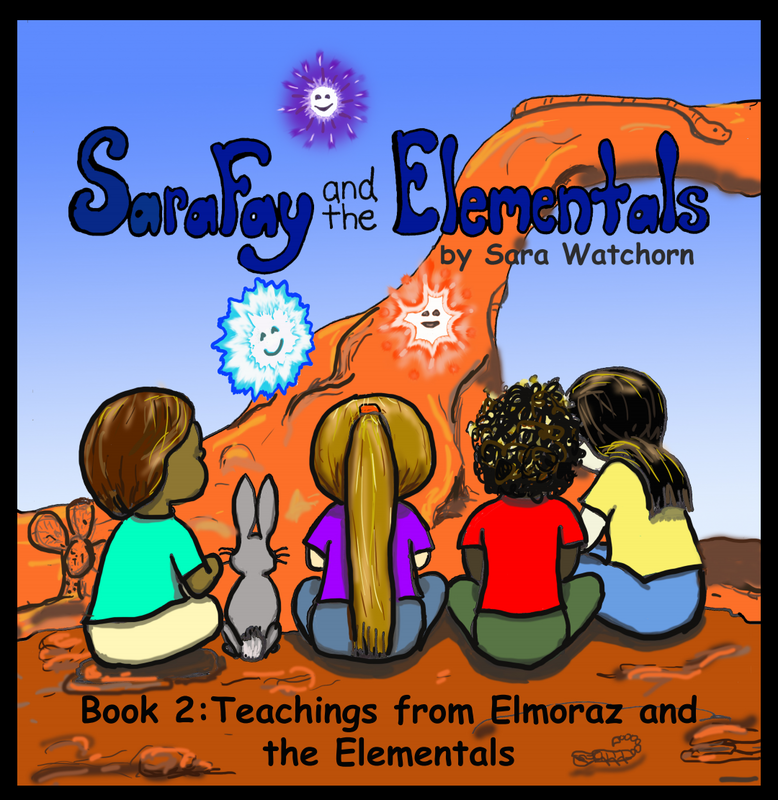 Sara Fay and the Elementals Book 2: Teachings from Elmoraz and the Elementals. Cover Sneak Peek!